Q: I have long dry times? Q: The inside of the dryer and the laundry room is very humid? A: Usually these conditions occur when the dryer vent is clogged or has a blockage. the air is not escaping from your entire vent. The air is coming right back into your dryer due to a blockage. There is a possibility that your flex hose behind the dryer might be disconnected, ripped, or torn. It would be a good time to replace. Q: My dryer is not heating up? A: Since your vent has a blockage, the air that is being pushed out of your dryer cannot escape at the exit. Your temperature sensor in your dryer is sensing a problem and kicking the gas or electric heat off. It is constantly thinking there is a problem. The temperature sensor is doing its job, and that is to prevent a major fire. When people run there dryer for months and months with long dry times, the sensors will eventually fail. Q: Should I call an appliance technician or a warranty service company first? A: Not just yet! Appliance technicians will charge you money for a service call. When they arrive the first thing they will ask you is "Have you had your vents cleaned"? (A SERVICE THEY DO NOT DO) They usually will not fix anything on your dryer until you have had your vents cleaned and a proper receipt of a good reputable company. So, usually, nothing at that time will get fixed because they don't want to repair anything if it is resulting in a duct issue. You still will pay out of pocket for there service call. It's better to call a dryer vent cleaner first, then an appliance technician second. it can be way cheaper. Q: Is it my dryer or my dryer vent that is the problem? A: It is almost 99% of the time your dryer vent. Don't rush out and buy a new dryer, or call an appliance technician just yet. You can perform a test, There are a few ways you can determine if it is a dryer problem or a duct problem. 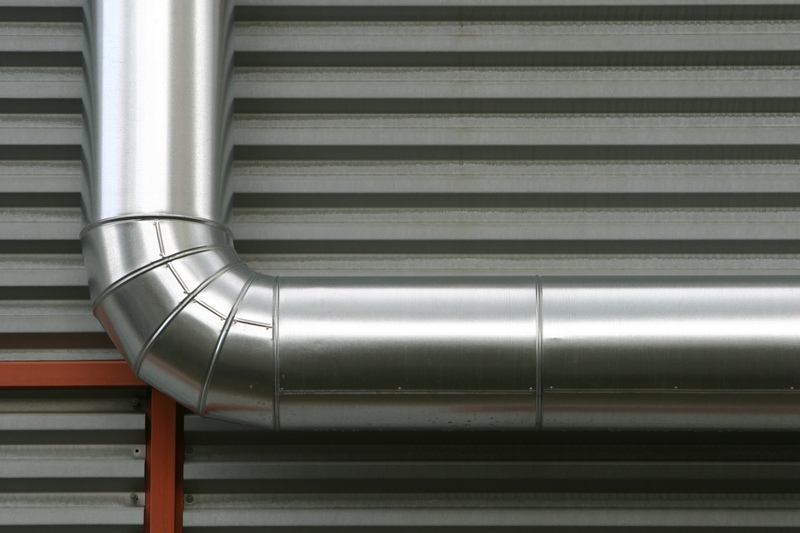 This is good because for many years, or for your many residencies, every duct design is different, and if you perform a test you will know where to throw your money at first. Call us to ask! Q: Is there a test to determine whether it's my dryer or dryer vent? A: Yes, and here is a quick test you can do. First, pull your dryer out from the wall and disconnect the dryer hose from the duct on the wall. Now run the dryer on a timed dry cycle. If the dryer or the dryer vent hose stays hot and blows hot for 1-5 minutes without cutting out you have a dryer vent problem and not a dryer problem! If it never heats up you have a dryer problem. If it is a dryer problem, be aware that if you purchase a new dryer and hook it up it could be a dryer vent problem that resulted in your dryer to fail. your dryer vent might need to be cleaned as well for your new dryer to work properly. * Please note if you are running a gas dryer you should take extreme precaution and perform this test at your own risk. Gas is very flammable. So open any windows or doors before doing so. Be very careful not to ignite any gas or run your dryer for no longer than 5 minutes. Q: What are considered long dry times? A: Every dryer is different. Usually 1 hr 30 min up to 3 hrs for one load. A good clean dryer vent will get laundry done in about an hr. This saves you money on electric or gas bills because you're not constantly running your dryer to dry one load. This is why people like to have regular maintenance on their dryer vent once a year. Most people do quite a bit of laundry daily or weekly and bottom line it really saves you money! Q: How often should I get my dryer vent cleaned? A: It all depends on the design of your vent, the length, and how many angles you have. It is really up to you. Remember, Long dry times = problems. When dry times go up, equipment can fail. Nuflo Dryer Vent Services will inspect your duct upon service and give you an idea of when the next service should be. We will send you a reminder card in the mail yearly, but it's entirely up to you. We send it for you to remember about the service, who we are, or if you know of anyone with the same issue. Q: What kind of Dryer Vents does Nuflo Service? Q: What kind of Dryers does Nuflo Service? A: We do not service Dryers. 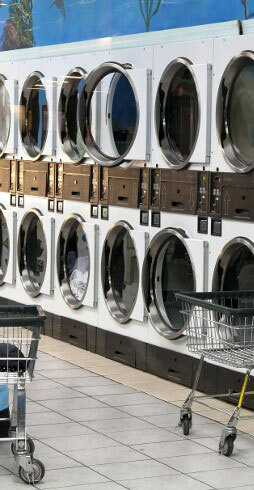 We service vents from single dryers to stack-able dryers any Make or Model. Remember, We service the dryer vent. Not the dryer. The dryer vent is the most important part of keeping all makes and models of dryers running well but Cleaning out the lint internally is also recommended regularly by an approved appliance technician. Especially, if you have had never had your vent cleaned annually. Q: Does Nuflo have a Warranty? A: Yes, our warranty is 30 days. After our cleaning, we run your dryer and perform a test. So go ahead and run some laundry, You should notice a difference immediately. If for some reason you don't, just call us back we will be right back out there asap to take another look. We stand behind all of our work, we guarantee that you will be satisfied with choosing our company. There is a lot of companies that operate today that will not even return your call or come back out. We are here to help you. Customer Service is our #1 Goal. A: We are a licensed, bonded, and insured company. Specializing in dryer vents - Dryer vent contractors. This is all we do and we strive to be the best. We use the best equipment available in this industry. We have done the research, we've seen what's out there, we have found ways to make our cleanings last longer than any our competitors. Q: I received a coupon that has an air-duct cleaning with a "Free Dryer Vent Cleaning"
A: This is usually a scam or a bait and switch tactic. Anyone who would clean your air ducts for $29-89.00 dollars is not licensed, bonded or insured in dryer vents or air ducts. Over the phone, they will quote you a price and when they do their evaluation It's double or even triple the price! Please stay away from these people. Remember, In life, you get what you pay for! Q: What are Nuflo's prices? A: Honest, Competitive & Fair. If we said the price on-line all the other companies would try and match it. The problem is they don't compare to service. When a customer calls we have 3 questions. Based on those questions we give you our personal quote. Our Cleanings always have a flat rate fee. So what you get quoted for a dryer vent cleaning is what it is. Any additional parts are by there cost and repairs will always be discussed prior to service. We never start any further work, remove vents, or repair anything without the customer's permission first. 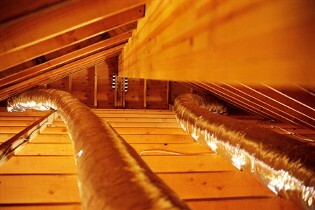 Most ducts are in good shape. A good cleaning is all you need! Q: What if I have a quote from another company? A: We are a very competitive company that will even match your lowest price given ( per our licensing, insurance, bonding, same process and equipment ) Give us a call. We work very hard to earn your business! A: We have all types of discounts. Click here for our latest Discounts. Our first-time customers get a great discount and rate and even get locked in! You can get an even better discount if you contact your family members, your friends or neighbors and group your cleanings together. The more vents you need to have cleaned, the more money you can save!